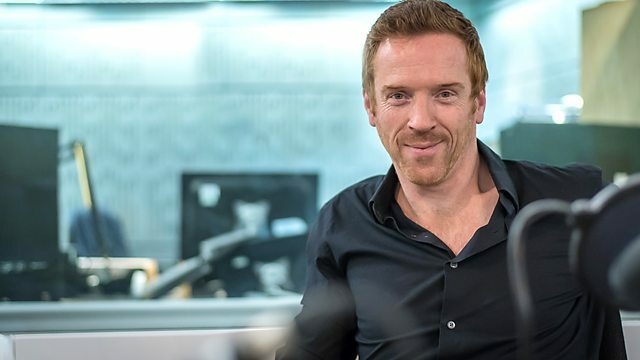 This is exactly WHY we will have regular Throwback Thursdays on Fan Fun with Damian Lewis — just to remember and re-live some top moments in this great actor’s life and career! 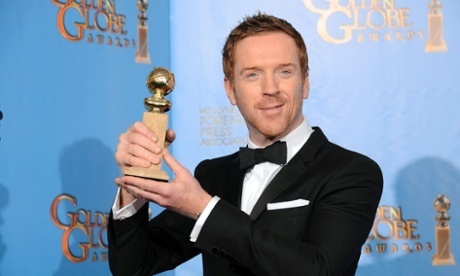 As we had the 2015 Golden Globe Awards ceremony last Sunday, I thought it would be fun to take a trip back to 2013 Golden Globe Awards in which Damian Lewis got the Best Actor in Television Drama Award for his portrayal of Nicholas Brody in Homeland. I told you in my first ever post about how I first met Damian Lewis. I was in my living room. He was on TV. I was watching the Primetime Emmy Awards and rooting for Jon Hamm (Don Draper, anyone?) 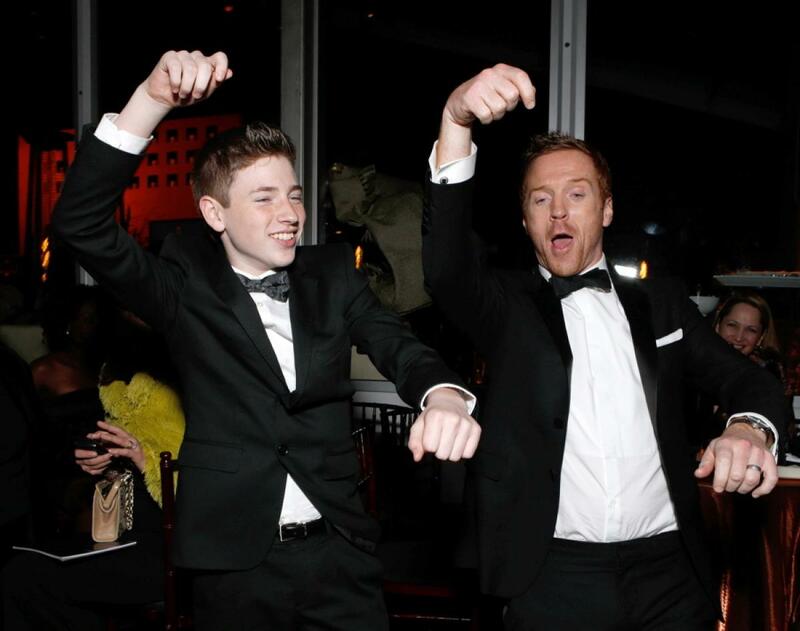 to win the Outstanding Lead Actor in a Drama Series… and Damian Lewis won the Emmy. Then I paid attention 🙂 A few months later, and having finished the first Season of Homeland, I had already forgotten about Don Draper and was already rooting for Nicholas Brody, sorry, Damian Lewis, to win the Best Actor in TV Drama award at the Golden Globes. And, he did… He did it beating some very strong competition, too — Breaking Bad’s Bryan Cranston, Boardwalk Empire’s Steve Buscemi, The Newsroom’s Jeff Daniels and Mad Men’s John Hamm. 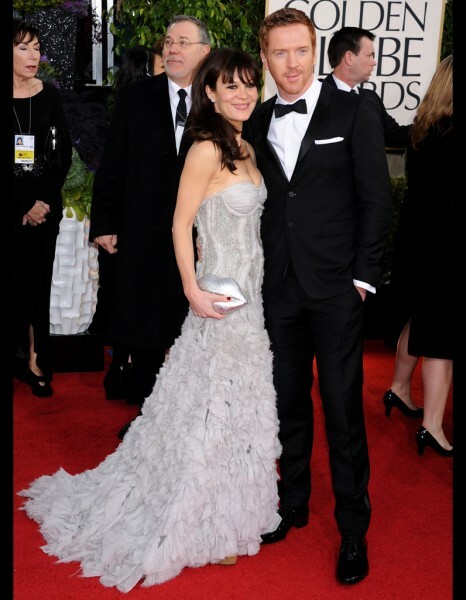 Here is Damian Lewis, ladies and gentlemen, with his wife Helen McCrory at the 2013 Golden Globe Awards. Well-deserved, and cheers to many, many more awards!